Three releases deep now, and Kyoto’s NC4K label now looks like a legit player to keep an eye on when it comes to electronic music in Kansai. Their latest comes from Osaka’s Paperkraft, a producer who is often associated with the “lo-fi house” style. That term can be a bit divisive — the main argument against it being it is just house music that sounds a little more roughed up — but I personally like it, possibly because it feels similar to other internet-centric micro-genre from the last few years. 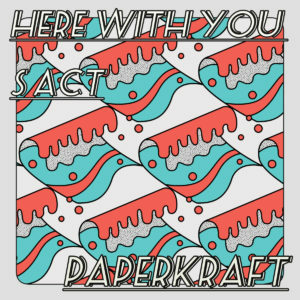 Anyway, Paperkraft does it well, with opener “Here With You” offering one of the more ecstatic numbers in their catalog, marked by a sweet, cathartic vocal sample soaring above the beat. More familiar is the bleary-eyed shuffle of “S Act,” with distant 808 hits and faded vocal samples drifting about the ether. Get it here, or listen below.